I was so busy today that I missed lunch! I know, who does that?!?! 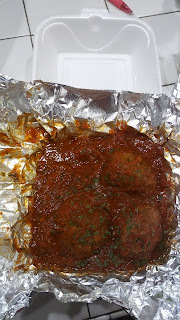 I was so tired and hungry that I decided to call in and place an order from a new Italian place that had opened. 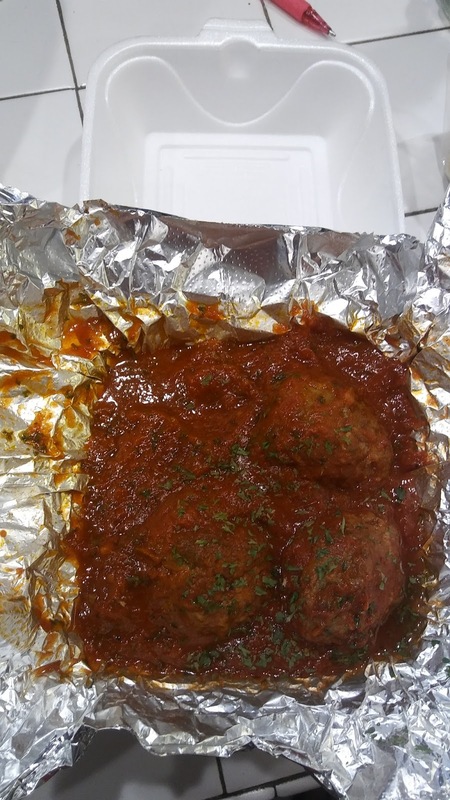 I called and ordered a meat pizza pot pie (filled with meatball, sausage, pepperoni and homemade tomato sauce and a layer of mozzarella cheese with a homemade pizza dough crust [$6.99]), a side of meatballs (3 to an order [$2.25]), a New York Calzone (seasoned ricotta, mozzarella and one topping in a tender crust and brushed with olive oil [$8.99]). As I was placing the order, I couldn't decide what topping I wanted in the calzone and when asked if the mushrooms are from a can, she replied that they were fresh! Nothing better than fresh mushrooms! I had 20 minutes to get there and pick up my food. I was happily surprised at the shortness of wait time. I arrived and the owner was super friendly and explained that they are still re-vamping the menu. 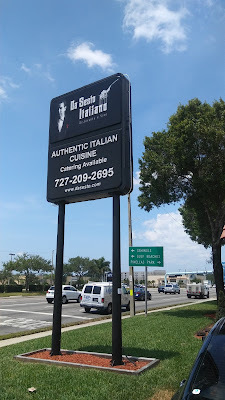 They have removed all of the cold subs, as they are not "authentic Italian comfort food." 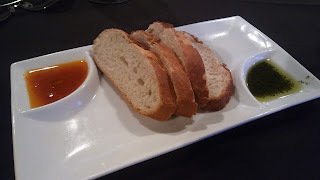 Soups will be a seasonal item and daily pastas will be featured on Facebook. She went and got my food from the kitchen and opened everything to show me! 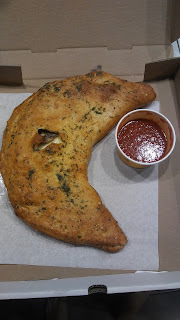 The calzone was beautiful -- I couldn't wait to get home and devour it!! I loved that she took the time to show me all of the items and make sure they were okay. I drove home, faster than a speeding bullet, and grabbed some plates so that we could eat! The calzone was huge - I mean - really big!!! And, the best part was that there was actually a cup of sauce -- not a soufflé cup with a dab of sauce - but a correct amount of sauce for a calzone this size!! 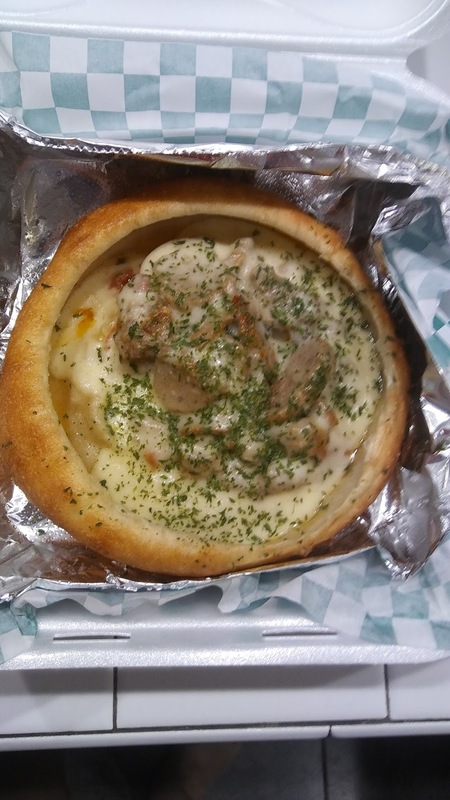 I have never seen a pizza pot pie and was excited when I saw this. My husband inhaled - honestly - it was gone - the whole thing. When there were 2 bites left, he asked if I wanted a bite. Um, yes!! It was cheesey, heavenly, deliciousness!!! The side of bread that came with the order was ah-mazing! Hot and delightful! I couldn't locate a menu anywhere online, but here is the email address. Maybe they can send you one! When I left, she said that they were open til 8, which is different than there menu -- so I am not sure of the hours. I will post updates as I find out more information. With all that being said -- go there - NOW!!! You will love it! Tell them Tampa Bay Afternoon Delight sent you! 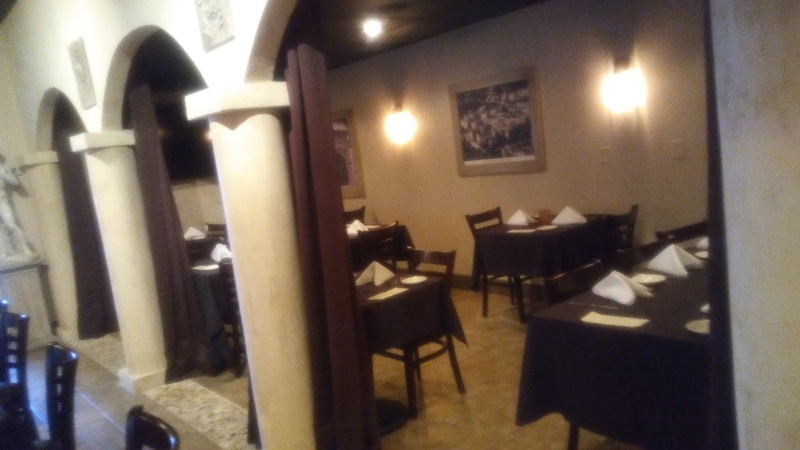 I have always loved Da Sesto's Italian Restaurant, but honestly did not like the crowd or having to always wait for a table. 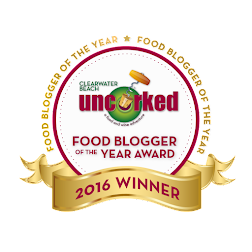 (Yes, the food is that good.) When I heard that they were opening a new location - right next door, I couldn't have been more excited. I gave it a week or two for the excitement of the newness to die down and let the kinks get worked out. I couldn't have been more pleased during my recent visit. I happened to be driving north on 66th Street when I saw the sign and decided to make a frantic right turn! I was alone and it was too late to call anyone to meet me, but I was hungry and wanted to check out the new place! It was one of the right place and lunch time kind of days! There is a lot more parking than the other location and it looks very pleasing when you walk to the front door. I entered and was thrilled to see the new restaurant. It was beautiful!! 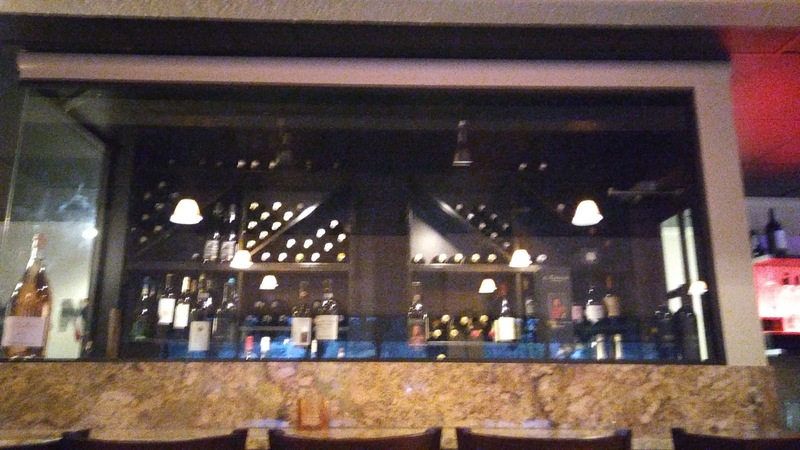 The décor is fabulous and I could not wait to be seated so that I could start eating. The hostess immediately greeted and sat me, giving me the lunch menu to scan my options. Oh Lord, too many decisions!!! 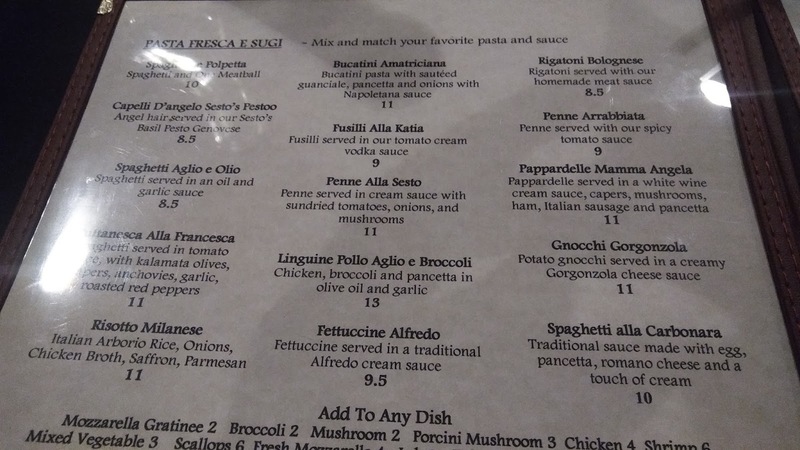 I had looked at the menu over and over to try and figure out what I wanted -- but I wanted it all! Everything sounded so tasty. 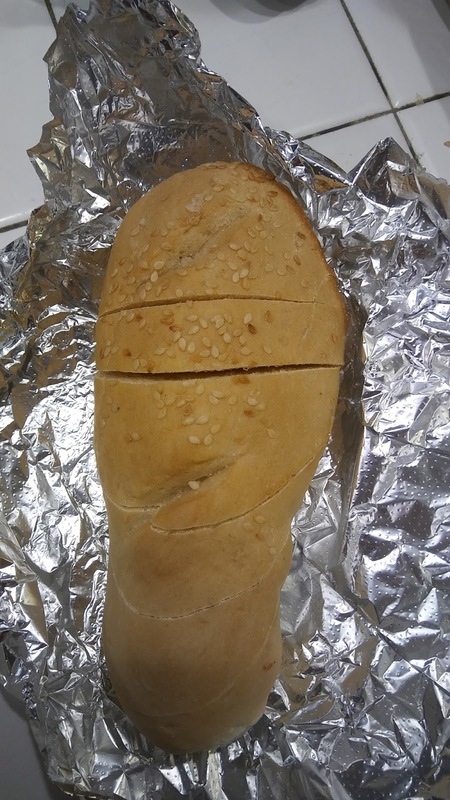 My server asked me if I wanted some bread while I decided what I was going to have for lunch. My father always told me when I was growing up "do not fill up on bread." I could hear him say it as I ate every piece of bread. It was warm. It was fresh. I couldn't help myself. 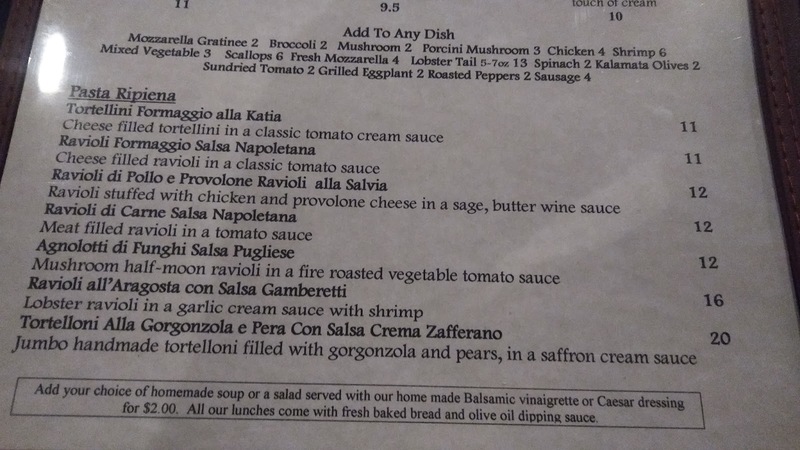 I told the waitress of the three choices to which I had narrowed it down and she said that the "Pappardella Mamma Angela" was very popular. I decided to have that as it was the one I had picked out first before I changed my mind six times. Normally when I have lunch with someone else, I know I am going to get to see at least two things and the pressure was on since I would only get to see and taste ONE thing! 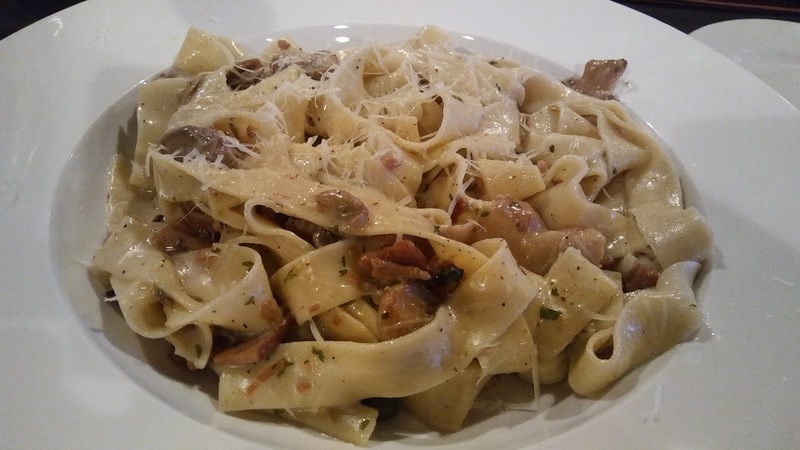 The Pappardella Mamma Angela is pappardelle pasta served in white wine cream sauce with capers, mushrooms, ham, Italian sausage, and pancetta ($11). 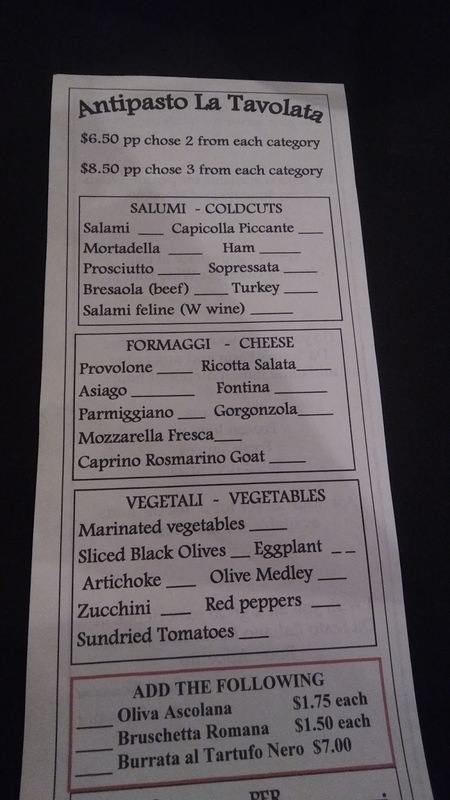 I continued to peruse the menu as I already know I am going back for the Antipasto! There are numerous seating options at the new location. You can sit at the wine bar, the Antipasto bar, a booth, a table -- or wait til the end and I will show you my favorite! Okay, here she comes with my lunch. As she placed it in front of me, I was already drooling. It smelled so good and I couldn't wait to get my fork into it!! I walked around the restaurant and fell in love! 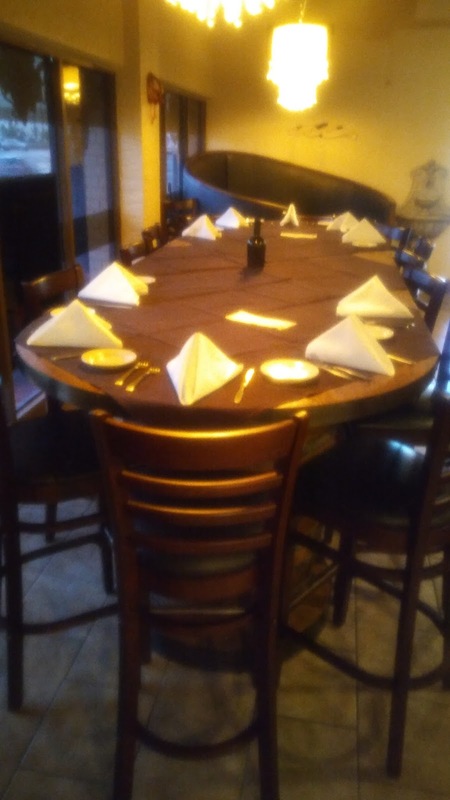 I love this huge table for a big party. I love sitting at a high top table, but it's usually for 2 or 4. I need a party - a big party - to go to lunch with me next time so we can sit at the big table! 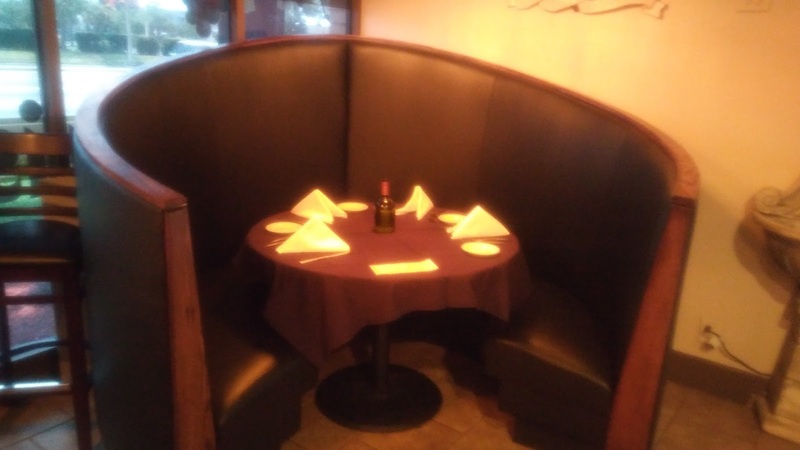 For those that remember the former location, there are still tables that are hidden away for a more private dining experience. THIS is my other favorite table. (I can have two favorites.) I want to go here with 3 other friends and sit in the big circle booth!! 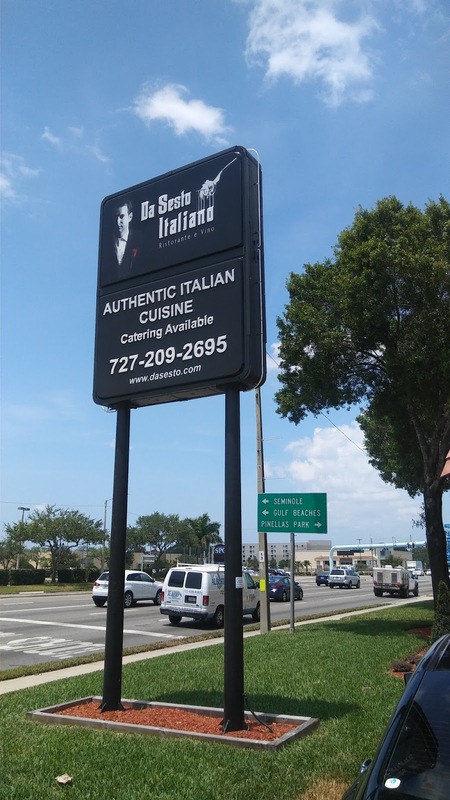 DaSesto Italiano Ristorante e Vino is located at 7201 66th Street North in Pinellas Park. 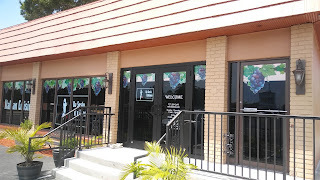 They are open Monday through Thursday from 11am til 1pm, Friday from 11am to 11pm, and Saturday from 4pm to 11pm. They are closed Sunday, but are available for private parties. If you have any questions, they can be reached at 727 209 2695. 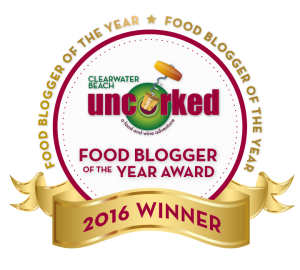 Special Note: Localshops1's Top Local Chef was last weekend in St. Petersburg and DaSesto's won the popular vote with their dish. I was there for that and it was delicious!! Most definitely a winner! Stop in for lunch or dinner. You won't be sorry! Tell them that Tampa Bay Afternoon Delight sent you. I am not a food critic. I am a regular "Billie Jo!" I LOVE food and I love taking pictures of food. In addition, my husband and I love to cook and we are always making tasty dishes at home.